Emma Jayne Brannon, 87, of Yellow Springs, Ohio passed away on Sunday, February 3, 2019. Emma was born April 5, 1931 in Urbana, Ohio, the daughter of the late Roscoe and Lula (Sutton) Church. After retiring from Wright Patterson Air Force Base in 1989, she enjoyed her time traveling and with her family. She is survived by her daughter, Lynne Anderson and her husband, Kelly Anderson of Columbus, Ohio; two of her sisters, Gloria Edwards of Springfield, Ohio and Ethel Jones of Beavercreek, Ohio; granddaughter, Sheri Baker and her husband, Daymon Baker; great-grandchildren, Shaydon and Dayna Baker of Columbus, Ohio; and a host of nieces, nephews and friends that she loved dearly. 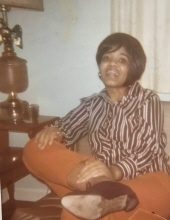 She is preceded in death by her parents; three brothers, Roscoe Kenyon “Kenne” Church, Neil Church and Lester Church; one sister, Diane Church Phoenix; and great-grandson, Braydon Baker. Visitation will be held at WALTER & LEWIS FUNERAL HOME, Urbana from 12:30p.m.-1:30p.m with a memorial service beginning at 1:30p.m. on Tuesday, February 12, 2019. Condolences may be expressed to her family by visiting www.walterfunerals.com. To send flowers or a remembrance gift to the family of Emma Jayne Brannon, please visit our Tribute Store. "Email Address" would like to share the life celebration of Emma Jayne Brannon. Click on the "link" to go to share a favorite memory or leave a condolence message for the family.